At San Diego Psychic our clients ask for help with their romantic life more than any other issue. Let’s go over why people so frequently want help with their love life, some of the common misperceptions clients have about love, and the solutions we as psychics help our clients find. We estimate only 15% of all romantic relationships involve real love between the partners. That means that the vast majority of relationships so not have true love as the foundation. Part of the unease in most relationships can be attributed to a lack of true love. People recognized they’ve settled for less than is possible for them. We’re all here in this lifetime to evolve spiritually. In this process of our spiritual growth we come into contact with many people we have known before in some other life. 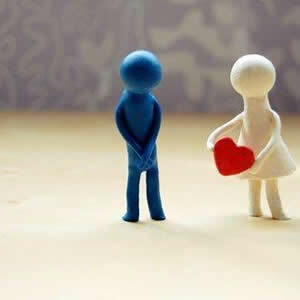 The basis of the relationship between people is often formed way before their first meeting in this lifetime. Let’s run through an example of meeting a romantic partner from a past life. You run into somebody and feel an automatic connection. You instantly fall into a romantic relationship and feel great about the rapport you have with this person. Now the past karma between the two of you needs to play out. San Diego Psychic helps people understand the nature of their current romantic relationship, how it plays into the plan for their life, and whether someone better will come along. Having that kind of information allows a client to make a better decision on whether to stay with someone and work out any issues they may be having. Even those fortunate souls who have found true love are still confronted with the mutual neurosis between them. Very few people are completely balanced, well adjusted, human beings. People often need help in making a relationship work that is based on true love. Our job as psychics is to give you all the information you need to find the best partner possible and live your life as happily as you can.